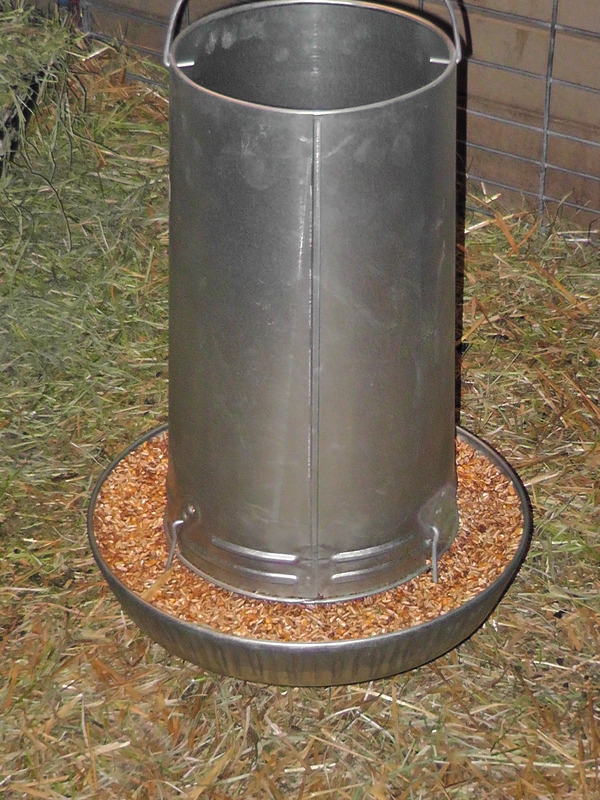 I have been thrilled with the new creep feeder for my lambs. However, the large poultry feeder (30 lbs) from Tractor Supply didn’t seem to offer enough munching space for the lambs’ mouths. They had to tilt their heads in order to get in and enjoy the grain. Well, I happened to notice that my local feed store has recently gotten in some new poultry feeders. These are made by Little Giant. I grabbed up the 40 lb turkey feeder and immediately noticed that the quality was superb and that the space for little noses was about twice as large!! 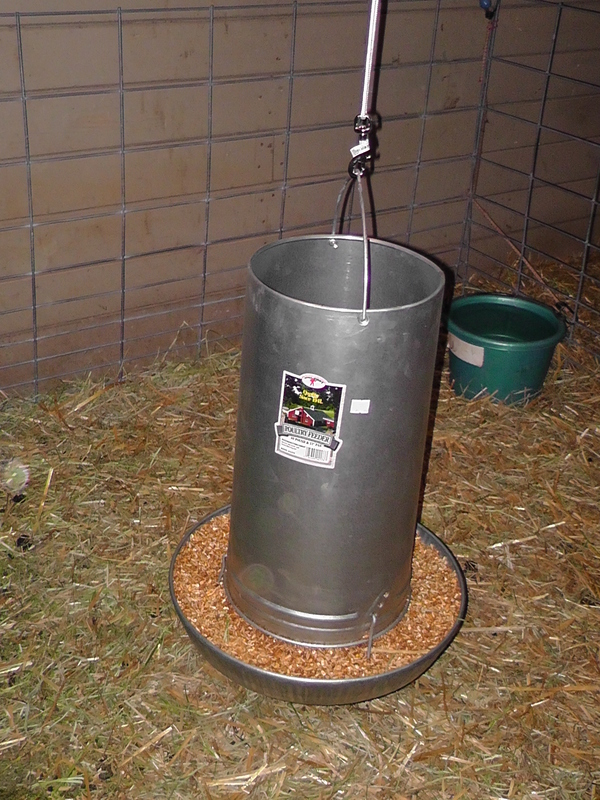 The new feeder is much stronger, easier to feed from, and should last a lifetime. I paid $26.99 at the local feed store vs. the $19.99 at Tractor Supply. You can probably find it cheaper. In any case, the extra $7 is money well spent. I am highly recommending this as my lambs are doing great with it and it WORKS !! 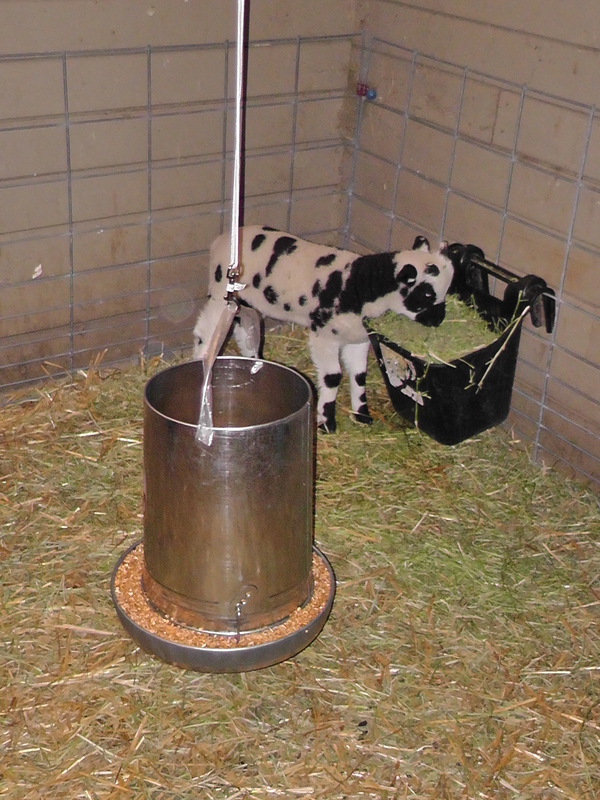 I happened to read a blog post about a Soay sheep shepherd that had a creep feeder set up like this. She said it works beautifully! Well. I thought I’d give it a try. It is simply a 30 lb poultry feeder (larger would be even better – like a turkey feeder size) set up to hang from the rafters in my barn. It is difficult to see in this photos, but it is suspended about 12 inches above the barn floor. The feeder was $19.99 at Tractor Supply. So far, the lambs are working on figuring it out. I am hoping that they learn to like it within a few days. There is certainly NO WAY that they can put their feet in there, which is what I really found attractive about the idea. Also, it’s quite affordable. I will let you know how it goes and in the meantime thought many of you might find this idea interesting.